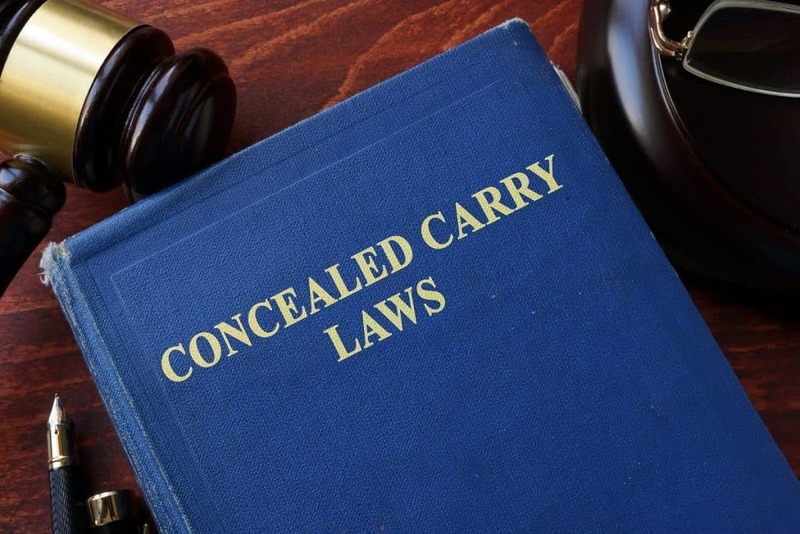 Concealed carry whilst afoot is one thing, but an area where a person’s ability to get their gun into a conflict if necessary is concealed carry in the car. Car carry is a different beast altogether, as there is the complication of being seated but also being in a confined space. This poses a difficulty in accessing and drawing one’s pistol if necessary. There are a few ways to counteract this difficulty, however. One of the easiest ways to concealed carry in the car and not impede the ability to draw too badly is to adopt the so-called “FBI Cant” with your concealed carry holster. Most holster designs allow for it, including a great many IWB holsters on the market as well as a fair number of OWB holsters. Even a 3-slot leather pancake holster can be canted forward on the belt. This is also a major weakness of appendix carry; while it is very easy to conceal a pistol in the appendix position, it becomes very difficult to draw while seated if carrying in this manner. Add in a seat belt and the confined spaces in the typical passenger vehicle and accessing a pistol can become nearly impossible. However the “FBI cant” was devised, the reason why it’s so prevalent is that it makes accessing the firearm while sitting a little easier. Not necessarily a breeze, but easier. Additionally, the firearm you actually carry can make an impact here. Pistols with longer barrels – say 4 inches or longer – can easily snag on the bottom of the car seat. This can make sitting a bit more complicated, as well as drawing. Carrying OWB in the car presents easier access to the grip, but more objects are there for the gun to snag on – the seat belt, the seat, the latch and so on – which is something to bear in mind. If concealing inside the waistband, the position can likewise complicate matters. Locating your holster at the 4 o’clock position or further toward your back pocket can likewise make it difficult to access your gun if needed. Therefore, if it’s possible to carry a compact or subcompact with a forward cant on or close to the 3 o’clock position, this will be the easiest to access while seated if needed. Another strategy when it comes to concealed carry in the car is to consider keeping a dedicated car gun in easy reach and/or to have a car holster that can allow you to holster your carry gun in an accessible location. Keeping a car gun is something that people have been doing for decades, whether it’s kept as a primary firearm when carrying isn’t possible or as a backup to a carry gun. Another possible use, of course, is to have a gun in the car that’s easy to get to when a holstered pistol is not. This way, you can simply reach for the car gun if needed. You can keep one in a car holster or in an easily accessed location, such as the center console or glove box. Regarding car holsters, these can come in a few different varieties. There are dedicated car holsters and then there are holster mounts. 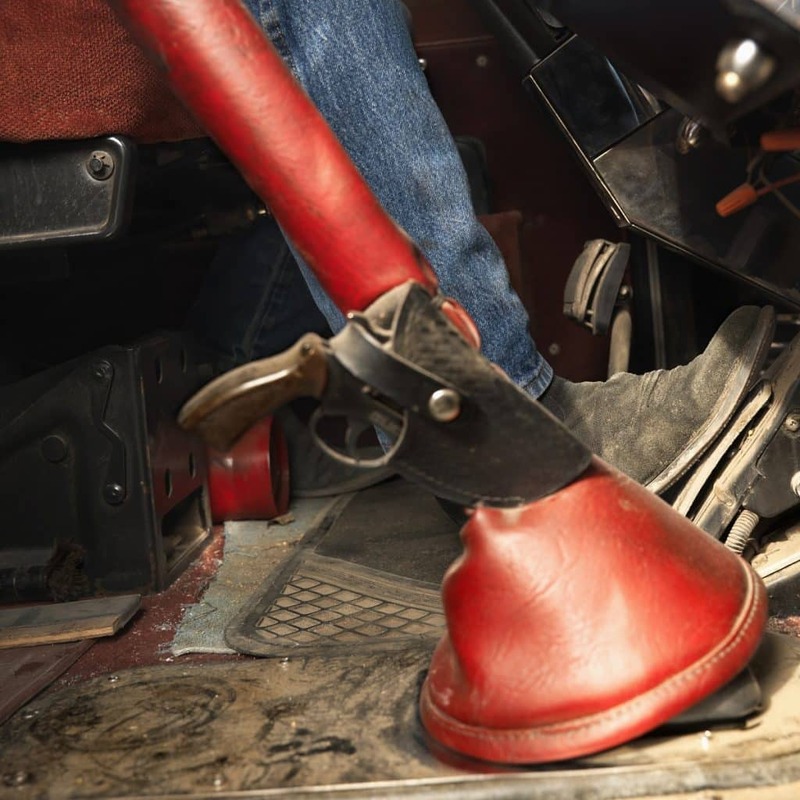 The former are usually a generic holster (often nylon) that attach to a part of the vehicle, often enough the front of a seat or the steering wheel column. They’ll retain the weapon easily enough, just don’t expect a perfect fit. Holster mounts allow a person to dock a holster with the mounting system. A person can remove their holster and dock with the mounting system or alternately, a person can dock a non-carry holster and simply place their handgun in the docked holster. This also can give a person a backup holster should they need one. In any case, a car holster or holster mount should be located somewhere easily accessed but not easily seen from outside the vehicle. Whether you keep your carry gun on your person or in a car holster or holster mount, be sure to comply with any and all state and local laws regarding car carry. 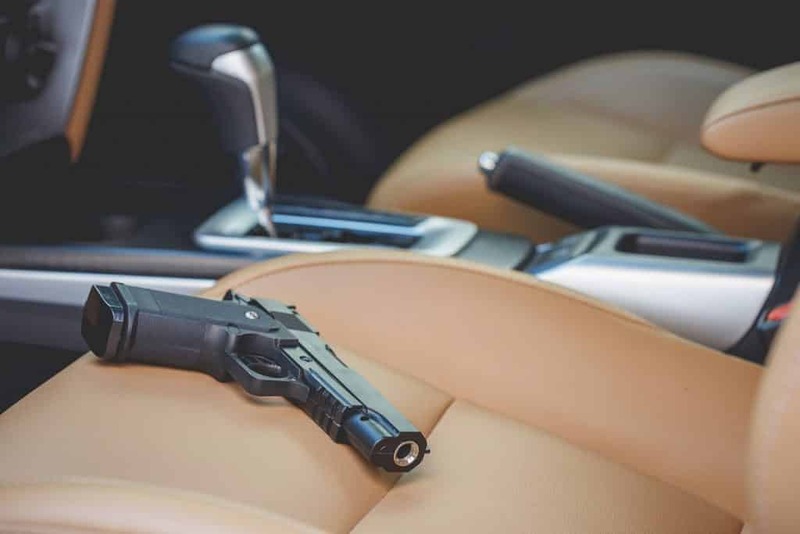 Some jurisdictions don’t have much regarding concealed carry in the car, besides requiring a person have a concealed carry license; others dictate how a loaded firearm may be concealed in a car. Very few jurisdictions allow for a loaded long gun to be kept in a vehicle, but most allow for a loaded handgun to be in a vehicle. However, there are usually some additional regulations. 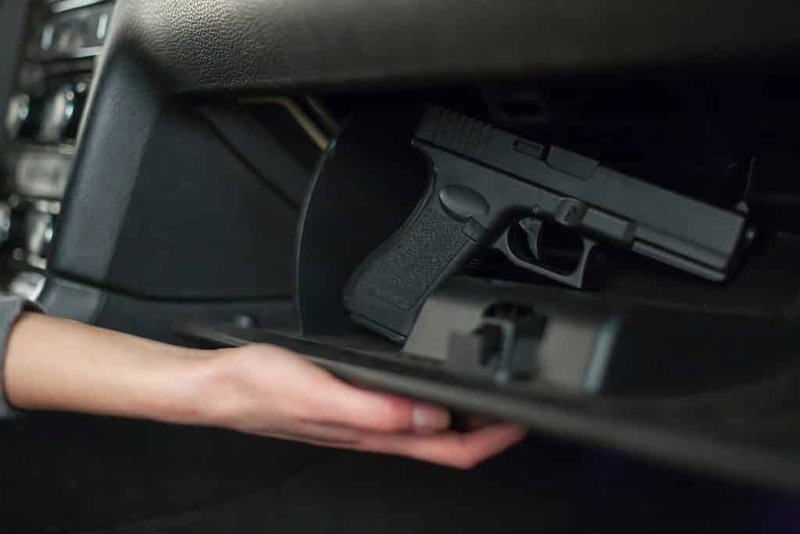 Some require that a concealed firearm in a car be located on your person; others mandate that any loaded handguns must be kept in plain sight at all times. It all depends on where you live.